Ghent University is an enterprising university with an international appeal. Our motto is "Dare to think": where 37,000 students and 8,000 staff members are encouraged to adopt a critical thinking approach. Pluralism and social commitment are the cornerstones of our philosophy, just as diversity, participation and independent thought. Even though participation in the LLM and MSc programmes requires sufficient financial support, admission decisions are reached irrespective of the applicant's personal financial means. The subsequent decisions as regards financial aid will allow students who need external financial support to gauge the financial feasibility of their application. Ghent University is one of the leading higher education and research institutions in the Low Countries. Located in a historic, student-friendly city in the cultural and economic hub of Europe, Ghent University is an active partner in a wide variety of national and international educational, scientific and industrial cooperation networks. Although Ghent University is officially a Dutch-speaking university, English is widely spoken by both students and staff. Moreover, international students can choose a wide variety of English courses and programmes such as our LLM Programmes. Ghent University 's 11 faculties consist of 125 departments, offering high-quality, research-based programmes in a wide range of academic disciplines. 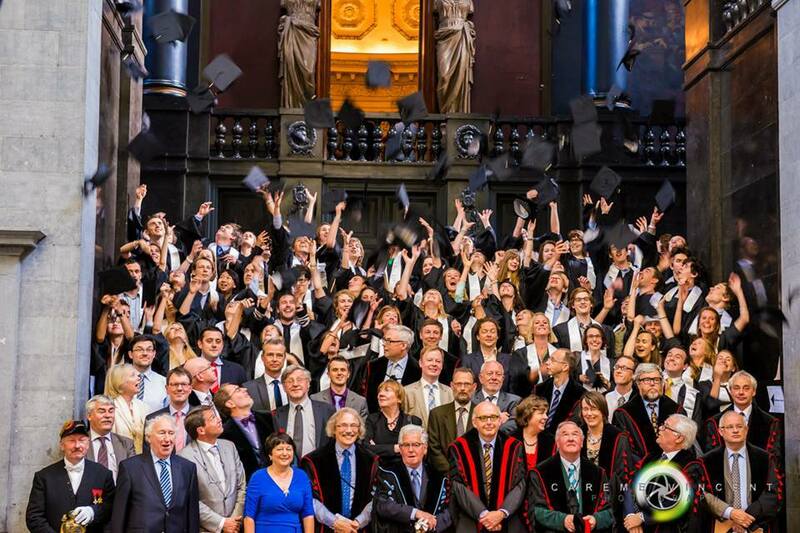 The international student population (11.5%) attests to the quality and diversity of Ghent University 's education and research. Ghent University is the 61st best university on the Shanghai ranking in 2018. All these factors, combined with a strong international focus, makes Ghent University a top-rank university in Europe. The Law School is located in the historic centre of the city of Ghent. While occupying a number of historic buildings from the seventeenth and nineteenth centuries, it has modern teaching facilities including excellent libraries and well-equipped computer facilities. The official teaching language is Dutch, except for specific English language postgraduate programmes such as the LLM & MSc in Maritime Science Programmes. The faculty consists of more than 80 professors and about 90 assistants who, in addition to teaching, are extensively engaged in research, writing, lecturing and public service. Many of its members have an international reputation in their field of specialisation, participate in national and international projects and are called upon as experts in the preparation of public policy. In the LLM Programmes, several foreign professors with an international reputation reinforce the faculty for specific courses. The Ghent Law School is an EU "Jean Monnet Centre of Excellence", recognised for its expertise and its available resources for European Union Law. With the EU institutions in its vicinity, Ghent Law School offers all the necessary facilities for an in-depth study of the law and practice of the European Union and international business law. Students can also benefit from the excellent library, which doubles as a European Documentation Centre. With a student population of around 4,000 students, Ghent University Law School is presently one of the largest law schools in both Flanders and Belgium. 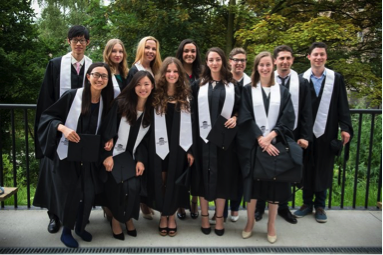 Many of its alumni play a prominent role within the legal system as government officials, judges, members of domestic and international law firms or as law professors at other Belgian and foreign universities. Ghent University Law School counts amongst its alumni a former Belgian Prime Minister and leader of the ALDE party, Guy Verhofstadt and other prominent ministers of the Belgian federal government and Flemish governments, members of the Court of Cassation, the Constitutional Court and the Council of State in Belgium. For more information on Ghent University Law School, please visit www.ugent.be/re. LLM in European Union Law. The specialised nature of the programme allows students to develop specific skills and competencies in the rapidly developing areas of EU law. The three LLM programmes provide students with the opportunity to design their own course of studies in accordance with their career priorities. It enables them to gain expertise on many relevant and topical issues of international law. Nevertheless, even though the courses maybe specialised and tailored according to the needs of students, what they share in common is that all the three LLM Programmes are ideally suited for students from outside the EU who need a thorough background in EU regulation and for those from within the EU who want to escape the provincial study of national law. 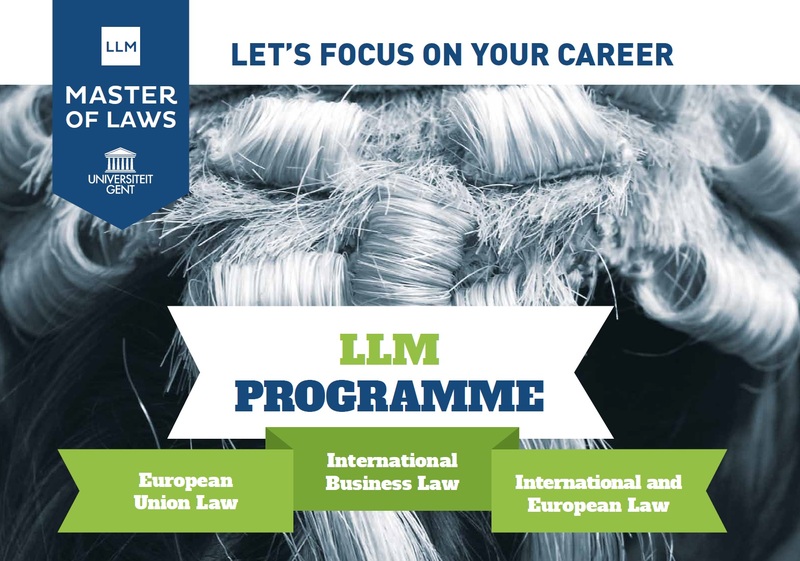 In short, the Ghent University Law School LLM programme forms a significant stepping stone for lawyers and professionals who require knowledge of EU law and/or EU institutions for their career development. For further information pertaining to each of the specialised courses, students are advised to visit the LLM Programme's official website. Apply for Academic Year 2019-2020 from 1 October 2018 via http://www.law.ugent.be/llm/application-form! The Ghent Law School LLM Programmes ensure that new career-oriented extra-curricular activities are being added yearly to the LLM studies at Ghent University so as to of strengthening your CV (for you to secure an interesting job at European or international institutions and organisations, prominent law and consultancy firms). This core LLM course has been initially designed to develop the skills of law students and to improve their fluency and literacy in reading, consulting, using and writing legal English, as well as developing communication and presentation skills. Nowadays this course is getting evermore exciting and practical! Lecture series by leading lawyers, politicians and economists from all over the world. Giving you the knowledge, skills and techniques to impress your employer from the first day at work – that is what we aim for! Recently our LLM students have obtained an exceptional possibility of participating in Moot Courts as a part of their official curricula. Students work in a so-called 'legal clinic' on real life projects, in small groups. Projects can entail research, reports or advice to be delivered to an organisation active in the human rights field. They can also concern the preparation of a case file that will be brought before a court. The legal clinic prepares enrolled students for their future work in an increasingly diverse and competitive national and international professional environment. Our LLM Programmes try to continuously serve as a platform for a step forward in careers of our students: we offer some career-oriented lectures and coaching to our LLM students in order to better prepare them for various application processes and interviews leading to potential international employment. We also offer our LLM students opportunities for networking during various guest lectures and events. We have recently introduced a 1-month summer (non-paid) internship programme for the top LLM graduates. 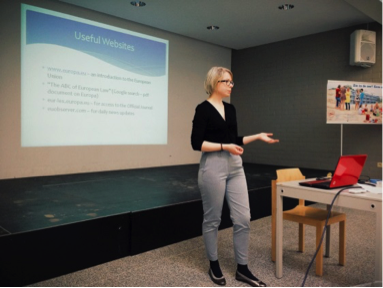 We aim to match the interests of the top graduates and those of the potential employers and to offer the hard-working students who have achieved the top-scores and impressed the professors with their motivation to succeed a chance to intern at Ghent Law School, law firms and non-governmental organisations! We have launched this programme so that you could discuss your career plans and get some advice from our bright and experienced alumni who will come and share their knowledge and practical experience with you, the lawyers-in-forming, through various lectures and coaching sessions! To have a law degree, i.e. the degree that in its country of origin makes one eligible to exercise the legal professions. Students in their final year of undergraduate studies may apply and may be conditionally admitted, subject to the successful completion of their degree. Exceptionally, after an examination of their curriculum and in view of their acquired competencies, candidates who do not have a law degree may also be admitted. In such an event, the admission may be made subject to limitations with respect to the courses to be followed. To present proof of sufficient English proficiency (Applicable to all non-native English speakers. We require a minimum score of 560 for paper TOEFL, 95 for Internet-based TOEFL or 7 for IELTS. However, there is a possibility to obtain an exemption for prospective candidates who have completed a study course of minimum one year (equal to 60 ECTS credits) at an English-speaking higher education institution (upon presentation of a respective document proving completion of such programme)). To have sufficient financial support, as indicated in the application form, either through personal financial means or via financial aid. 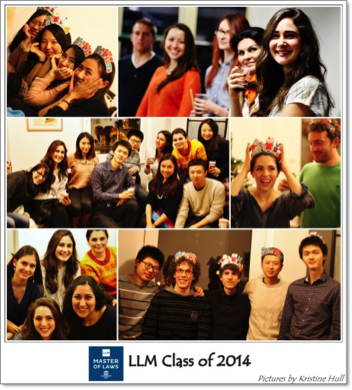 Please note that the tuition fee for the LLM programme is 5524,30 Euro. To apply for admission to the LLM programme with all required documents. The selection process is coordinated by the Law School's International Relations Committee. In selecting students, the Committee takes into account academic potential, seriousness of purpose and motivation. Selection is a tribute, not only to the past performance of the applicant but also to his/her believed ability to perform well in a demanding LLM programme and to contribute to the LLM group. Ghent Law School does not discriminate against any applicant on the basis of race, colour, nationality or ethnic origin, religion, age, gender, sexual orientation, marital or parental status, handicap, income or personal financial means. Even though participation in the LLM programme requires sufficient financial support, admission decisions are reached irrespective of the applicant's personal financial means. The subsequent decisions as regards financial aid will allow students who need external financial support to gauge the financial feasibility of their application. Ghent University is a state university, and its policy is to keep tuition to a minimum (for the LLM programme, it is 5524,30 Euro). However, the University provides few Top-Up Grants, the details of which can be found on the website of the University. The LLM programme itself has no funding available for scholarships to support the cost of living in Ghent. On the other hand, the LLM programme does offer a limited number of scholarships or partial/full tuition waivers, depending on its budgetary limits and on the need of the applicants. It is, however, important to understand that the financial constraints typically reduce the number of scholarships/waivers to a level well below their demand. Applicants are therefore strongly urged to be financially self-supportive, either through personal means or through third-party intervention. Decisions on university financial aid are taken after the admission decisions. LLM candidates are encouraged to explore avenues for financial aid external to the LLM programme. It should be stressed however that the LLM programme cannot offer any technical or logistical support for these external application processes, other than letters of recommendation and/or confirmations of application or selection, where required. To study in Ghent is true to work in the heart of Europe! Brussels and its many EU institutions are just a short, comfortable and convenient train ride away. The Hague, Luxembourg, and Strasbourg all major institutional capitals in their own right are all less than a day trip from here, and along with Brussels, we will visit most of them during your stay. And of course, for those of you who want to explore the great metropolises of Europe, Ghent is a fantastic gateway. With direct access to Europe's high-speed railway network and with a major international airport almost at your fingertips, you will be able to visit Paris, London, Berlin and many more exciting destinations at the drop of a hat. We will keep you busy, but you will also have the time to discover some of Europe's great cities at your own convenience and will the minimum of fuss. Ghent Law School is located at the Universiteitstraat 4-6, 9000 Ghent, Belgium. The main administrative building of Ghent University, the Rectorate, is located at the Sint-Pietersnieuwstraat 25, 9000 Gent, Belgium. With its University and other higher education institutions, the city of Ghent harbours a student population of approximately 50,000. The housing market is therefore understandably stretched. For incoming foreign students finding suitable accommodation is perfectly doable but may require some effort and flexibility. There are essentially two ways to find suitable housing: through the private market, or through University Housing. You can request an accommodation in the university residences after your admission to the LLM programme. Our university and law school has exchange programmes with numerous universities all over the world. The law school attracts hundreds of foreign students every year. Your LLM class will reflect this cultural diversity. Your LLM professors and lecturers will include visiting international experts. 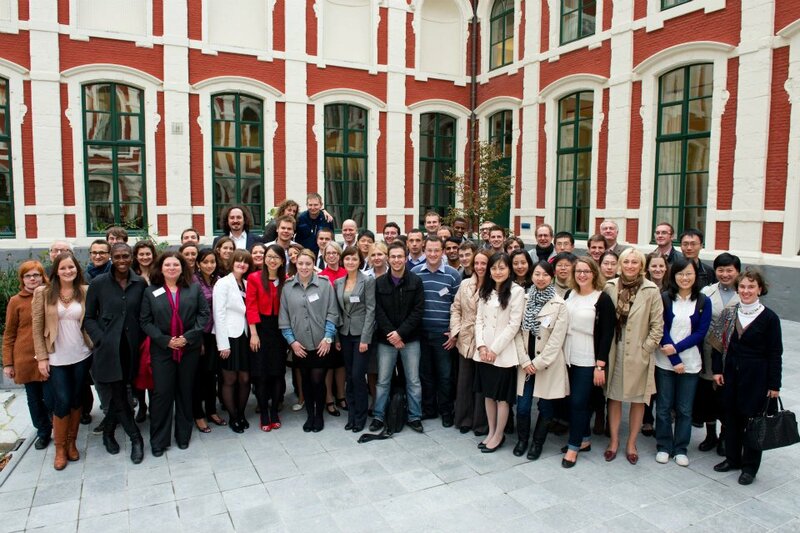 Your LLM experience at Ghent will, as a result, be much more than an academic education. It will also be a once-in-a-lifetime cultural experience. You will meet, study, and live, with interesting and talented people from all over the world. You will leave this place an enriched and enlightened human being with a better understanding of today's world and with bonds and ties that cross many borders. For more photo impressions, please visit our FB page where we frequently update with valuable tips and current activities - academic and extracurricular alike: www.facebook.com/llmugent.